From the outside Gaba Gaba House takes the shape of a white cube giving nothing away of the beauty that lies within. 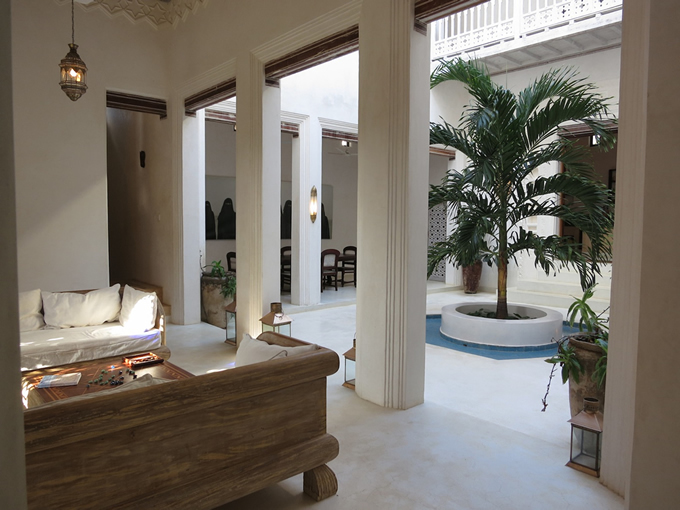 Once you enter through the Lamu carved door you step into a Swahili Lamu style house designed and built on the lines of sacred geometric principles, a hallmark of original Arabic design. One of the meanings of Gaba Gaba is ‘doubly relaxed’ and inside you will find a house that we hope will allow you to do just that. 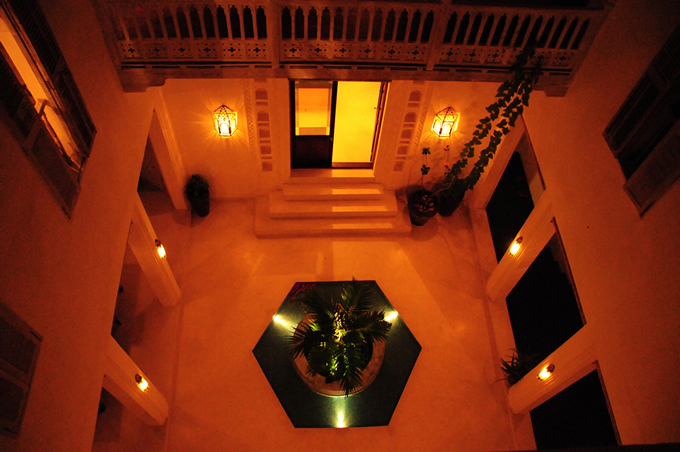 As you arrive up a grand staircase, which brings you into the white courtyard with a turquoise Moroccan tiled pool, and central palm tree a large seating area complete with a recessed wooden built Moorish Musharabia and two sofas also greet you on arrival. You’ll notice the waft of jasmine and frangipani and an unusual coffee table in the living room, home to a new board game known as the Starcut Game, but that is another story. In the evening the courtyard is truly magical and great for relaxing, entertaining or watching a film with the house projector. The dining area, with a table that can seat twelve, is also located on this floor, across the courtyard with a guest cloak room with shower. The large kitchen is also accessed from the courtyard. 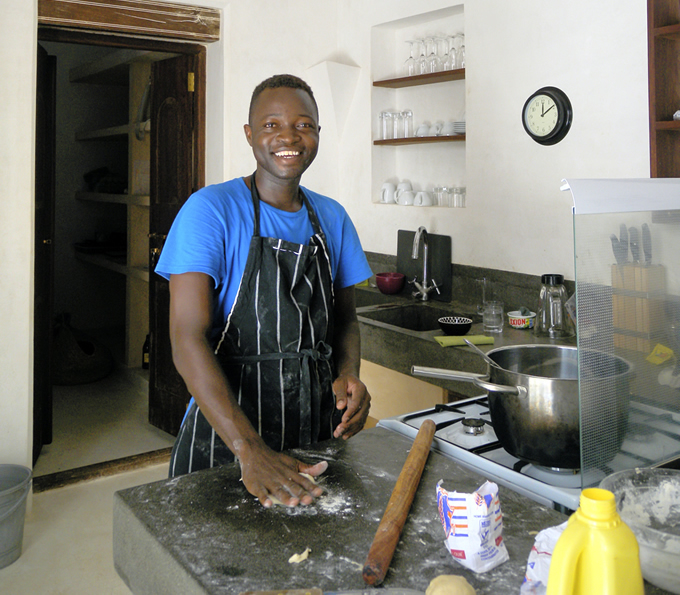 The kitchen is fully equipped although you may not wish to become aquainted with it too much during your stay, as you will be well looked after by our Gaba Gaba crew Tommy & Abdallah. Your wish is their command. The house sleeps 6 people comfortably having three double bedrooms all with on-suite bathrooms with hot showers. One has a spare bed as well. The bedrooms are located on the first floor. 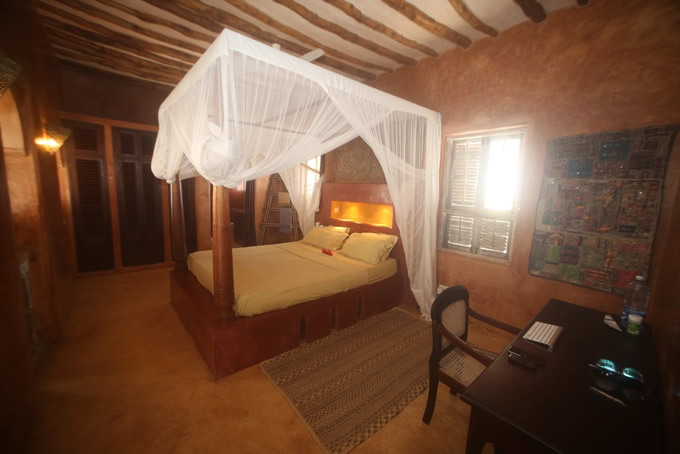 The Master bedroom has an Emperor sized wooden samodara bed, wooden floor and louvered wardrobes. This room also has air conditioning, if required for a small surplus, and an en suite bath and shower and is accessed via the balcony bridge overlooking the courtyard. The second Moroccan bedroom has been decorated with rich warm colours and a four-poster bed. The third Turtle bedroom is light and airy and takes its colour inspiration from the sea and the local turtles who lay eggs on the beach. The first floor is also home to the study with a house computer, air conditioning and an extra bed, which is used for massages. 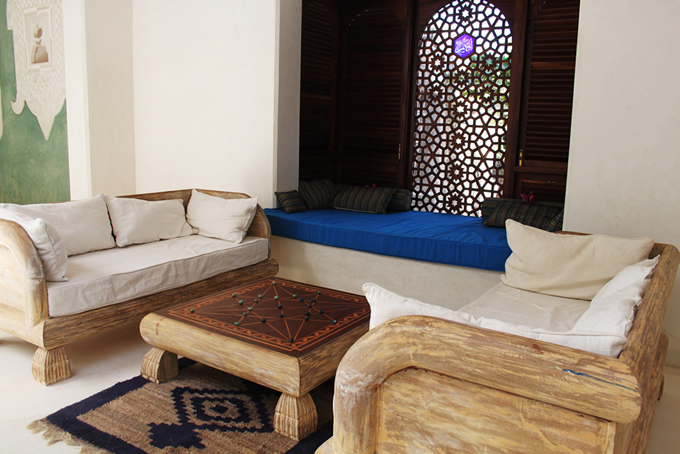 There is also another sitting room area with day bed. 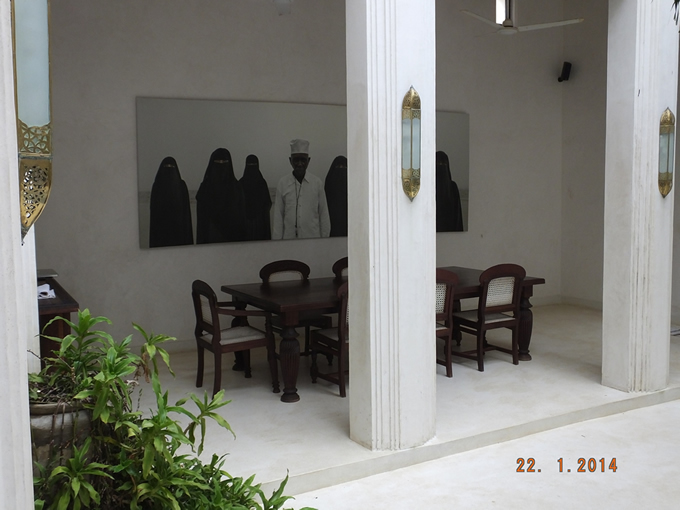 Each bedroom looks outside, across the sand dunes and the village, and also inside down into the courtyard. This design keeps the bedrooms, and the house, cool. 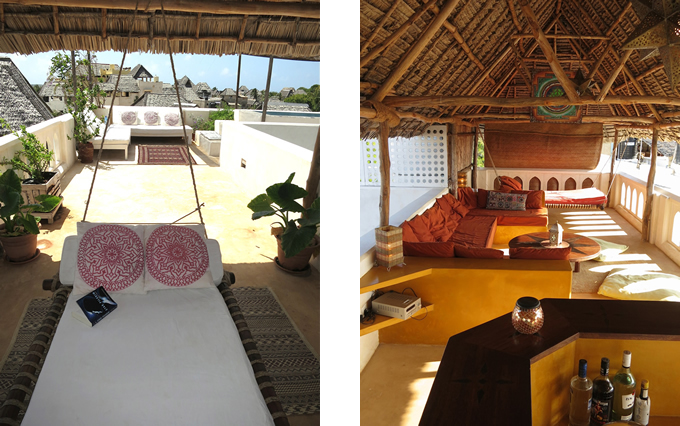 Up on the terrace under the makuti roof you will find the Sunset bar – a wonderful space to relax or entertain during the day with built in sofa, hammocks and floor cushions. 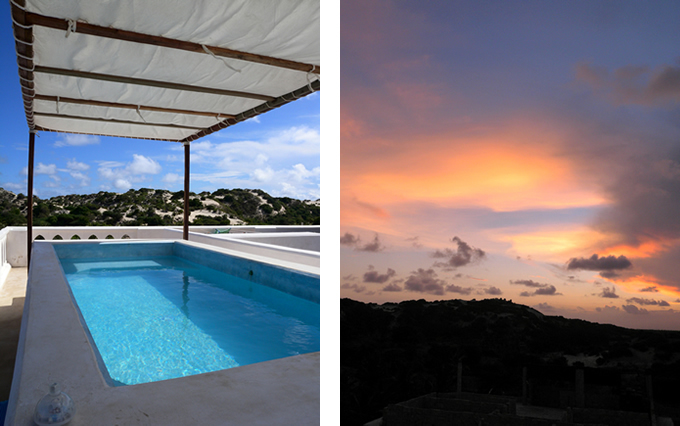 It’s the perfect place to enjoy your evening sundowners while watching the sunset across the dunes. The bar is equipped with fridge and sink. Also on the roof is a substantial plunge pool, next to a part shaded area with sun beds. These beds can be easily moved out to the open area of the roof for evening star gazing and one of the bed frames can also be used as a table to eat under the stars. Just ask Tommy. 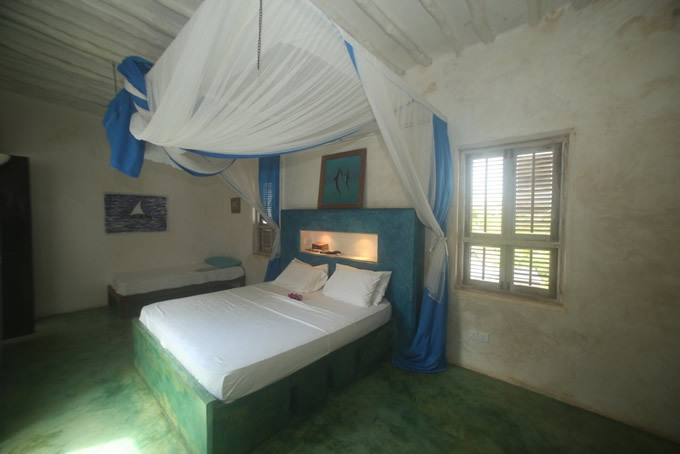 Gaba Gaba House stands high up, towards the back of the village of Shella with Panoramic views of the sand dunes, views towards Lamu Town and the sea as well as the famous and much used Shella football pitch. The 8 mile beach is a ten minute walk in either direction, through the village or over the sand dunes. Facilities include: Spacious nets and effective fans in each area; internet access; printer,scanner; projector for films; a sound system set up to play CDs or plug into Ipods or computers; spare net for sleeping on the roof; filtered drinkable water; hot showers; two members of staff to cater for your needs, from cooking and cocktails, to washing and ironing. 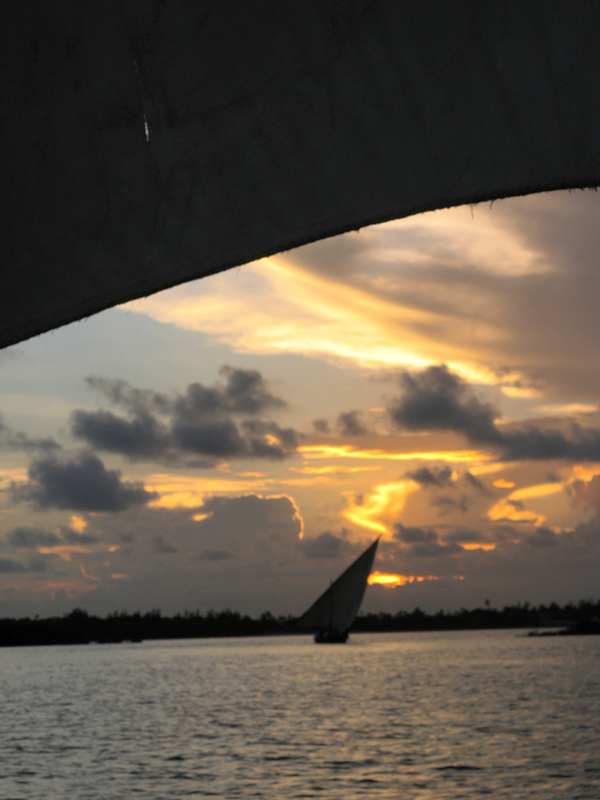 Dow trips for snorkelling, fishing or enjoying the sunset, or to go to Lamu or Manda Island, can be easily arranged. The airport transfer is including in your rental.